Yes, it is still available from the link in the first post. There was a short time around 18:30 yesterday when my server was down, either that or you was clicking the crossed out Freeware files link, which I have now removed. I was trying it for most of the evening and tried again this morning and again with my vpn on but still no joy. I just get the error "80.6.29.213 took too long to respond." I just tried that link, and it works fine. Just had a thought, anything other than UK IP addresses are blocked, perhaps your VPN or normal IP are not within the allowed addresses. Did you manage to download the file? 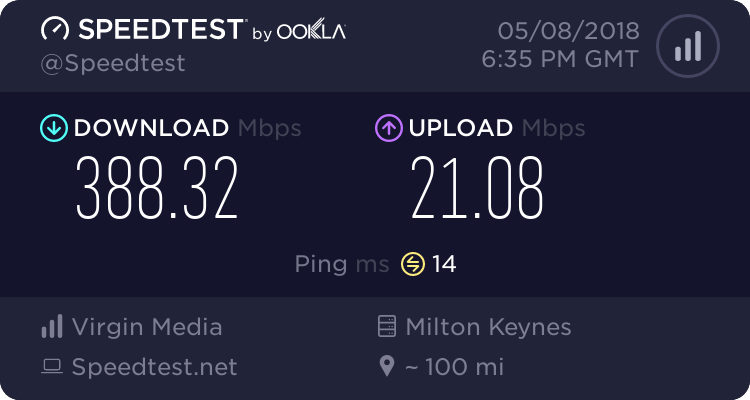 I just tried a UK VPN and was able to download it, but when I try with my normal connection (PlusNet), it times out just like the non-uk VPN test, strange. Possibly your IP address was non-UK, but sold and bought by BT/Plusnet. One of our number might have a server outside the UK address ranges from which a test could be run perhaps? Looking with the moderation tools available to me I can see that russellhq's IPv4 address appears under ARIN and not RIPE when I perform a "whois" . . . Connecting to www.ronski.me.uk:80... failed: Network is unreachable.